Architects/specifiers, designers, manufacturers, suppliers, and installers of powered doors, gates and barriers primarily for vehicular use, and those responsible for servicing and maintaining these products in workplaces, car parks and the common areas of shared premises, including residential. 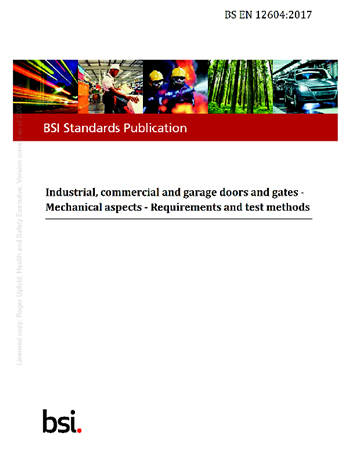 Publication of two newly revised European Standards on the safety of doors, gates and barriers - BS EN 12453:2017 and BS EN 12604:2017. The UK launched its Formal Objection to the standards in December 2010, as permitted by Article 10 of the Machinery Directive. The Supply of Machinery (Safety) Regulations 2008 (SMR08), which implement Directive 2006/42/EC on Machinery (Note: these replaced the previous 1992 UK regulations, which implemented earlier versions of the Machinery Directive, and have required the same standards of health and safety for all new machinery since January 1995). The Health and Safety at Work etc Act 1974, especially Section 3 the duty towards the safety on non-employed persons (eg the public and visitors) arising out of the way an undertaking is conducted (also applies to landlords and managing agents). Please pass this information to others who may have this type of product or equipment on their premises; or those who advise on/assess (including consultants); those who specify (including architects and their clients), design, make, supply, install, maintain, service this type of equipment; or those who have any responsibility (eg landlord/managing agent) for this type of equipment.